A Quantitative EEG (QEEG) provides a wealth of information about the brain’s functioning. The process begins with a 19 channel EEG recording done in the office. This requires the use of an electrode cap and careful procedures to insure that the quality of the recording is sufficient. After the recording is done, Dr. Jones visually inspects the raw EEG and uses software to analyze the data (quantitation). Part of the analysis includes normative databases with which the data is compared. 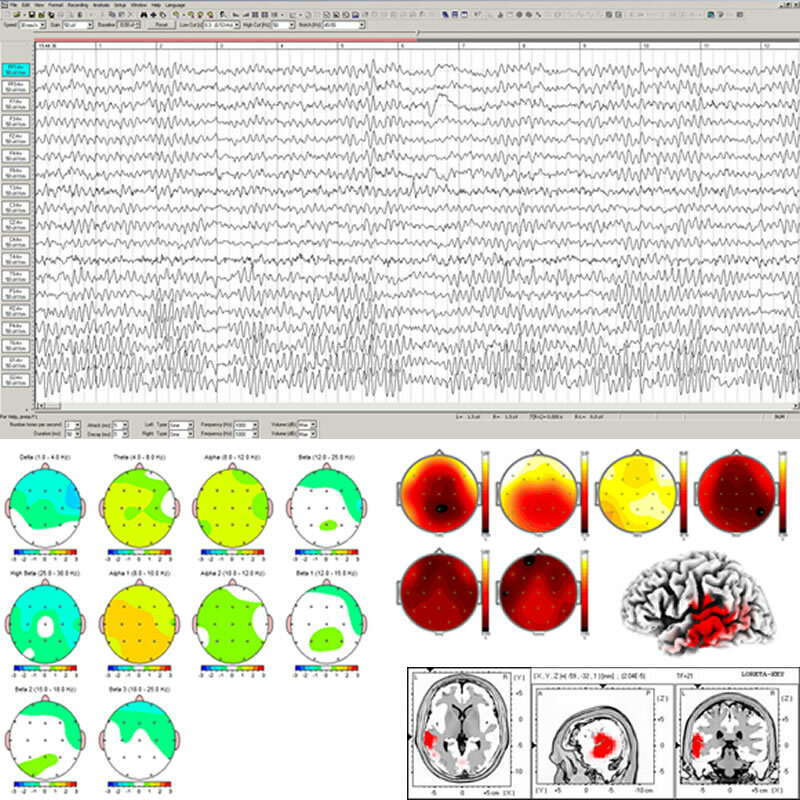 The QEEG is then reviewed in light of the client’s symptoms and a treatment plan is created. Why I don’t use automated QEEG report generators.